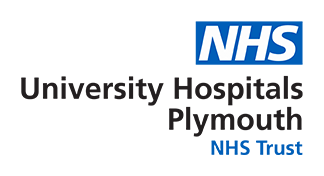 Planned Investigation Unit (PIU): The PIU is a very busy Trust-wide facility, that supports both inpatient, outpatient and day case activity. We care for patients undergoing a wide range of diagnostic procedures and those who receive regular treatments for the management of long term conditions. Additionally, the unit co-ordinates three other areas: Pre-Assessment Clinic, Multi-Function Treatment Room, where we undertake bronchoscopy, cardioversion and lithotripsy procedures and the Nurse-led DVT Clinic. We also support outlier activity as required in areas such as medicine, surgery and neurology. All PIU staff have a strong patient focus and recognise the benefits in working together in a dynamic and adaptable way to ensure our patients receive effective and timely care. Interventional Radiology: A highly specialised unit that cares for both inpatients and outpatients, for vascular and non-vascular minimally invasive procedures is an established, but expanding field. We are expanding our service as we work towards the light well project and our team contains a mix of nurses and allied health professionals promoting multi-disciplinary working. As at least 30% of cases present as emergencies it is an ever changing daily routine and the service is currently Monday to Friday service with call commitments out of hours/weekends. Click here for more information on Interventional Radiology Nursing.